Kristin Fulmer is a PA Licensed Professional Counselor, a Nationally Certified Counselor and a Certified Nutritional Therapy Practitioner. She has a B.S. in Health Education from University of Maryland and a M.S. in School Counseling from Gwynedd Mercy College with a post-graduate certificate in Clinical Mental Health Counseling from Arcadia University. She is also a Pennsylvania certified teacher in Health Education and School Counseling. Additionally, Kristin works as a Counselor and Assistant Professor at Montgomery County Community College. I am on a mission to relieve the epidemic of emotional, physical and behavioral distress by addressing underlying systemic biochemical and physiological imbalances. Recognizing that physical health impacts emotional and mental health, I design integrative therapeutic interventions to improve my client’s emotional and physical well-being. Correcting nutritional deficiencies, eliminating aggravating allergens or distressing environmental chemicals enables the body-mind to self-correct imbalances. 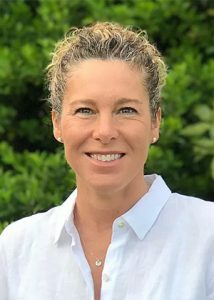 Kristin utilizes an integrative and functional whole person, mind-body approach to counseling using a combination of therapeutic strategies including nutritional therapy, cognitive behavioral techniques, mindfulness, motivational interviewing, humanistic, and solution-focused interventions. Her client-centered focus to wellness engages her client’s strengths to overcome obstacles and enhance emotional and physical wellness. Kristin works with children, adolescents, adults and families with; Anxiety, Depression, ADHD, Stress, Fatigue, Concentration and Behavior Concerns, OCD, Weight Management, Self-esteem, Autism, Insomnia, and Life Skills. Individual counseling sessions focus on utilizing a combination of holistic therapeutic interventions including a nutritionally dense whole foods approach to improve overall emotional and physical health. Recognizing that lifestyle and nutritional changes can impact the whole family and be individually difficult without family support, individuals often find it helpful to schedule appointments for all family members. Together we will analyze the puzzle pieces to determine how your physical health may be influencing emotional health. A systemic biological imbalance may be the origin of your depression, anxiety, anger, fatigue, brain fog, ADHD, lack of focus, etc., etc., etc… All symptoms of a body out of balance. What effects the body influences the mind and what influences the mind effects the body – address the whole person systemically, get to the source of the problem, and all areas of health improve. Change occurs quickly for some and more slowly for others. Together we will monitor your comfort level and motivation towards change, healing, and health. My goal is to make sure you are comfortable yet challenged towards gaining greater health, harmony, and happiness. Our bodies have an innate intelligence towards healing and health, sending us positive and negative messages all the time. If there is a systemic biological problem – a potential nutritional deficiency, allergy, infection, or chemical overload, we may experience this as a physical, emotional, mental, or behavioral discomfort. It’s our body trying to tell us something – basically we are out of balance. My primary goal of using nutritional therapy with clients is to re-gain balance in the body by addressing nutrient deficiencies and foundational dysfunctions. My objective is to treat the unique emotional and nutritional requirements of the individual specific to her or his biological, cultural, environmental, and familial heritage. Healthy Body = Healthy Brain = Happy Self!! Workshops can be a great resource for enhanced education on the food-mood connection and the benefits of nutritional therapy. A series of educational workshops discussing the connection between diet and our emotional and behavioral health. A series of educational workshops highlighting the effects of gut health, microbiome, and inflammation on the emotional and behavioral health. A series of workshops on the practical applications and techniques for properly preparing and cooking nutritionally dense, whole foods. A free support group for people actively engaging in the different phases of the GAPS diet or people interested in learning more about GAPS.